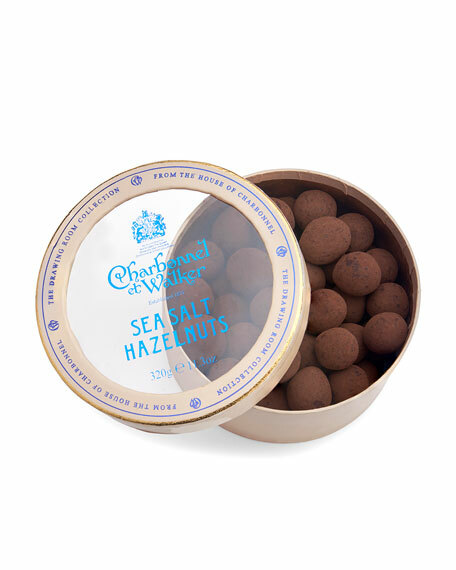 For a deliciously moreish treat, our Sea Salt Hazelnuts are the perfect choice. Caramelized hazelnuts are coated in milk chocolate and dusted in a little Anglesea sea salt and cocoa powder for a beautifully balanced sweet and sour delight. Milk chocolate and cocoa dusted hazelnuts. For in-store inquiries, use sku #2705620.